The creation in 2011 of Monaco Statistics, the Monegasque Institute of Statistics and Economic Studies, was a major decision by the Monegasque Government to enable better monitoring of the country's future. Monaco Statistics role is to foster awareness of the economic and social environment of the Principality. It has become the main observer of Monegasque activity. Through the guidance it provides to both business and public stakeholders, it participates fully in the common objective of maintaining the Principality’s attractiveness. For this purpose, the Institute has put in place an information system based on the collection of statistical data, endorsed by the Minister of State in consultation with the Scientific Council for statistics and economic studies. 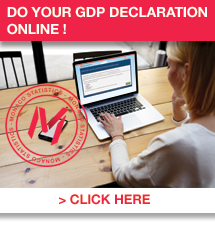 The information collected by Monaco Statistics is sourced from State departments, the Municipality and public bodies. The data is the subject of statistical processing in line with nomenclatures and methods recognised at international level, collated by Monaco Statistics. The objective of this code is to lay down ethical principles to be used as reference by Monaco Statistics staff in the conduct of their duties.